You used to work as a TV reporter! 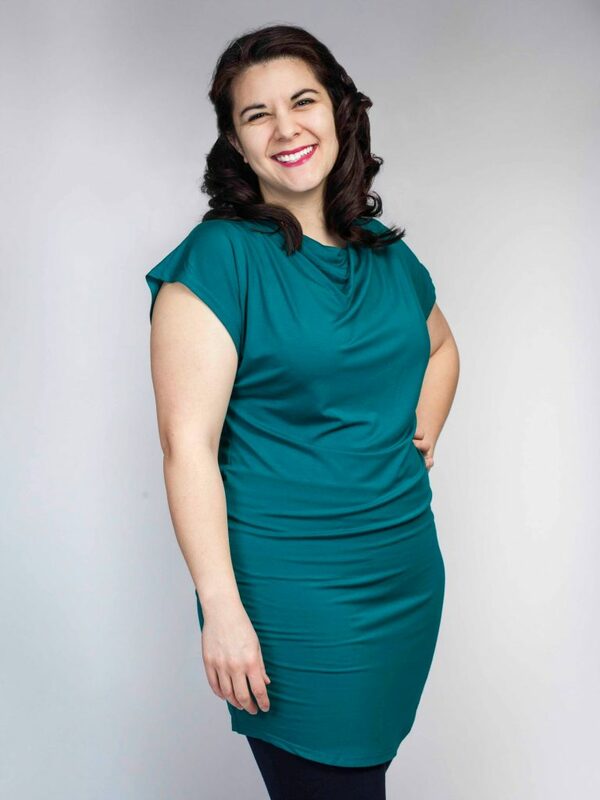 Why did you decide to change course and go into the business of personal styling? I have always loved shopping and using clothing/outfits to express who I am. My colleagues were always asking me where I’d purchased a certain piece or would compliment my outfit, and then ask me to go shopping with them to help them purchase new pieces and put outfits together. I quickly realized I loved doing that way more than reporting on the local news, so I quit and started my Personal Styling business. That was back in 2008 and I’ve never regretted that decision for a second. Do you advise women on their seasonal palettes and body types? I used to do that early on, but not as much anymore. I obviously choose clothing for women that will make them look and feel their best, but try to avoid these types of “rules” as I think they are kind of outdated and just make women obsess even more about what they can and cannot wear. What is one universal “fashion sin” we all commit that you’d like banned forever? What sort of services do you offer? Are your services open to men, children or teens? I offer a variety of services that I like to customize to the client. And yes, I work with men and have worked with some teenagers as well. No children, though. How would you define your own style? Which considerations dictate your clothing purchases? I’d say my style is something akin to ‘Suburban Chic’ with some sort of twist/quirk. I don’t want to look like everyone else. I love texture, details, colour, prints and patterns, and it’s important to me that my clothes make me feel happy and excited to wear them. 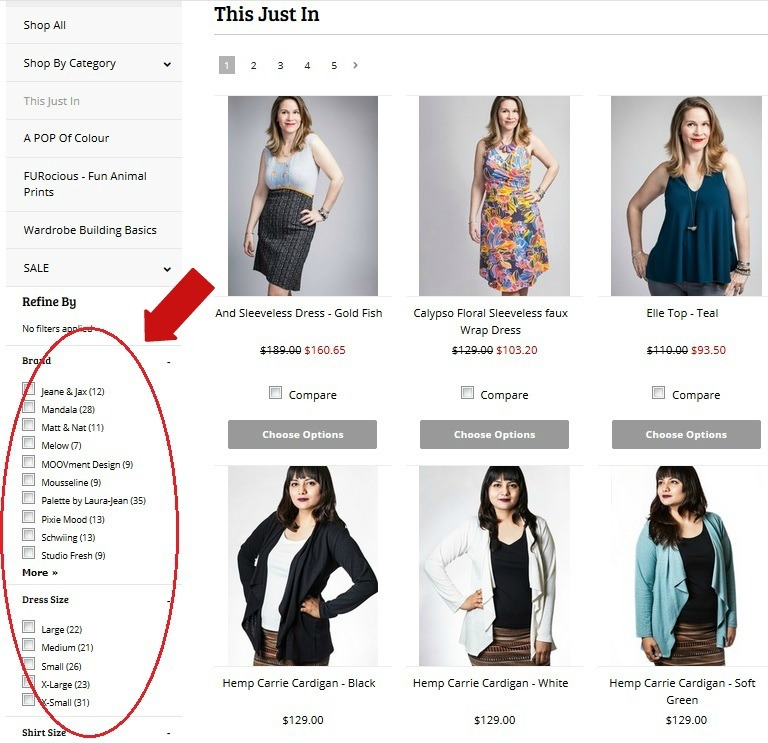 When it comes to making a clothing purchase, I want the item to be functional for my lifestyle as a Personal Stylist and busy Mom, but I also want it to say something about my personality. And it should also be able to work with pieces I already own in my wardrobe. 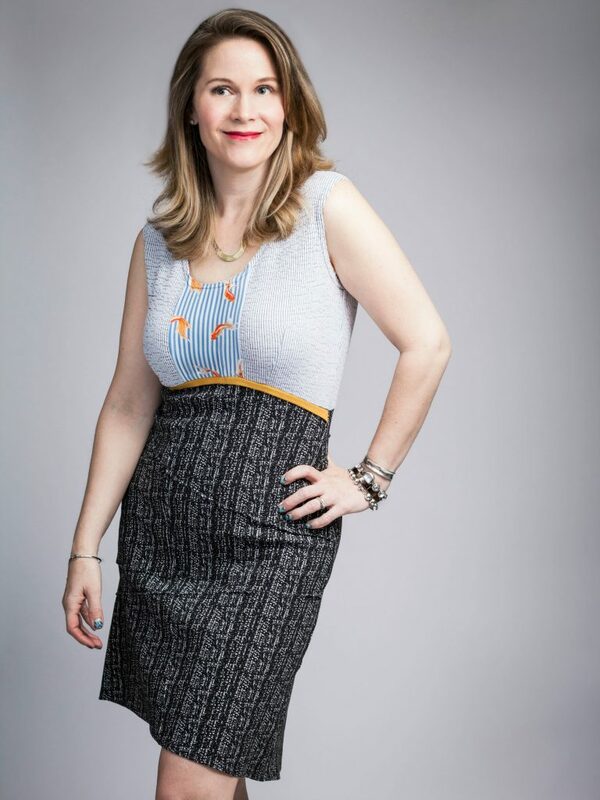 I love that the pieces are unique, ethically produced, and that when I am shopping there, I am supporting local business. Oooh, that’s a tricky one. I am a “leap before you look” kind of girl who believes everything will work out, so I would just say go for it! As cliche as it sounds, life is too short and you will regret the things you didn’t do. I feel like I’ve already figured out which colours and cuts look good on me in general. Can I still benefit from your styling services? Of course! I think most women already instinctively know which colours make them look good and which cuts flatter them most. The majority of my clients do. What they struggle with, though, is putting complete outfits together. For example, they may know they love that skirt, but when it comes to what top to wear, whether it needs a layering piece, what sorts of footwear to match it with, or accessories – that is where they get stuck. And that is what I love to do! I love showing women new ways to wear what they have as well as new pieces they can get to make the most of their wardrobe. And how to wear everything in a variety of ways. That’s my area of expertise. 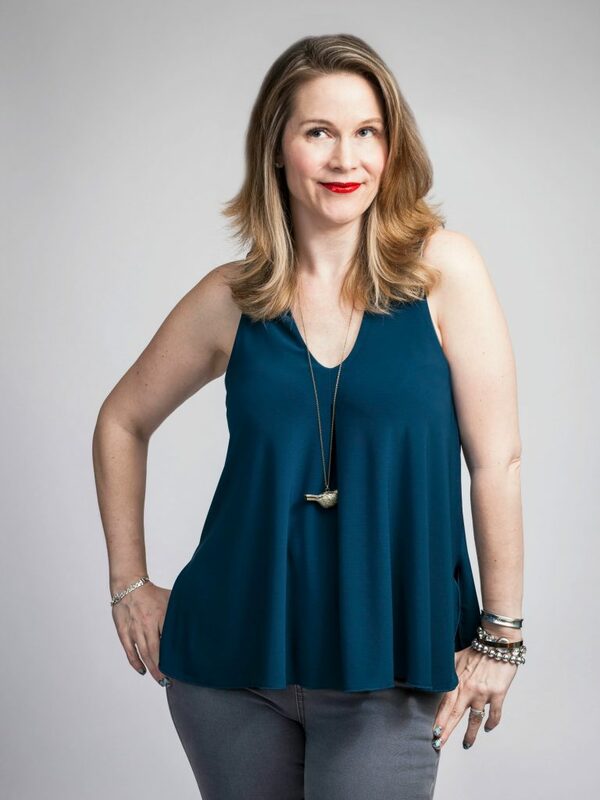 You’ve actually received career coaching from our very own CEO, Laura-Jean! 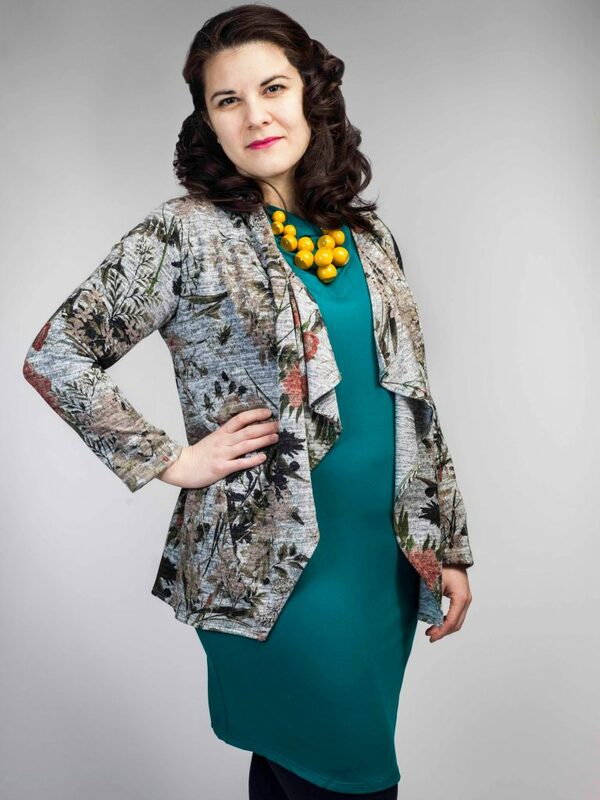 How did she help you with your styling business? She has helped me in SO many ways! From structuring my service offerings, to making tweaks to my systems and operations, to keeping me focused when I get “shiny object syndrome”. She has been a great mentor and cheerleader who has now become a dear friend. 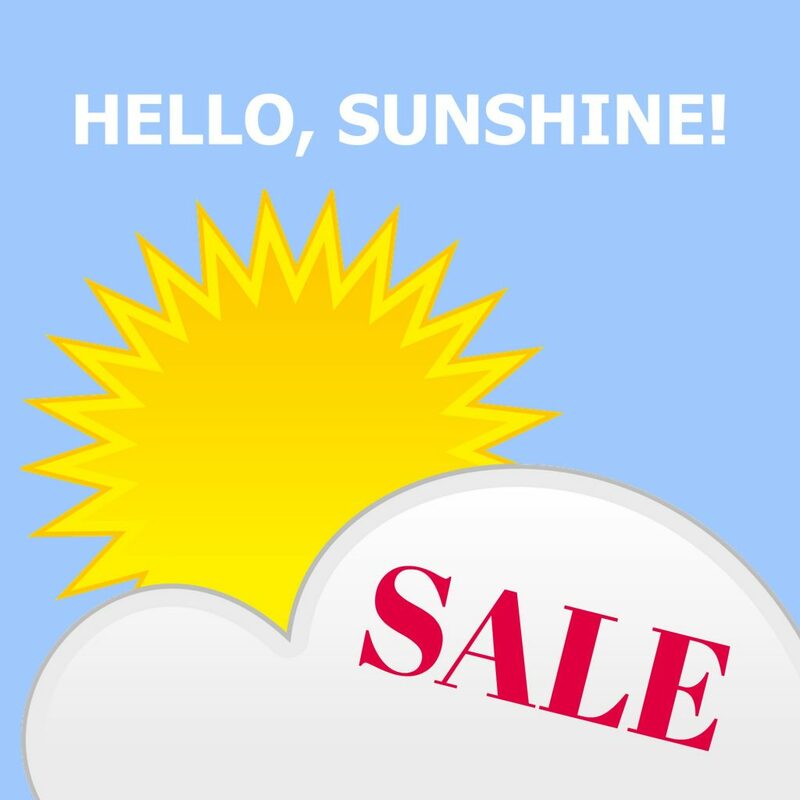 Our HELLO SUNSHINE SALE IS HAPPENING NOW! $20 FRESH BUCKS, JUST FOR YOU! to spend in-store or online! To redeem in-store, print or show on your mobile device. 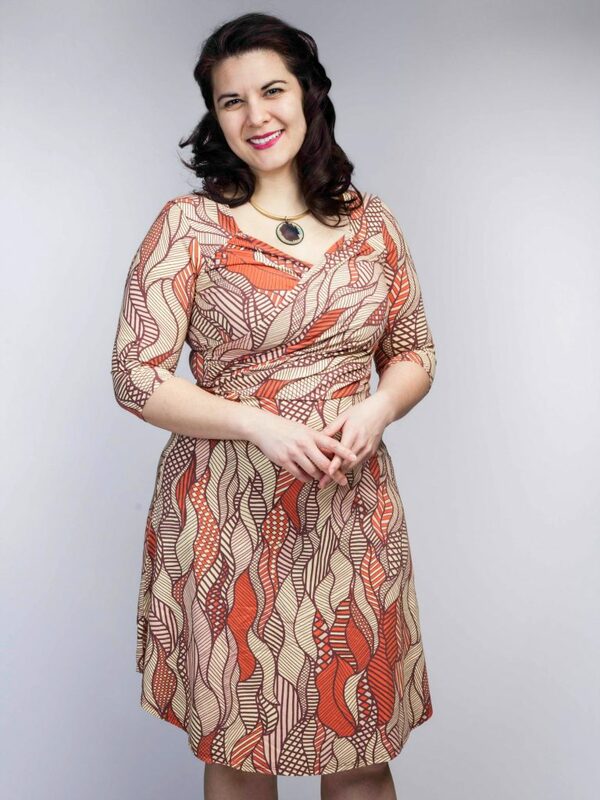 Flash Sale – Save $20 off the An-Li Dress until August 7! 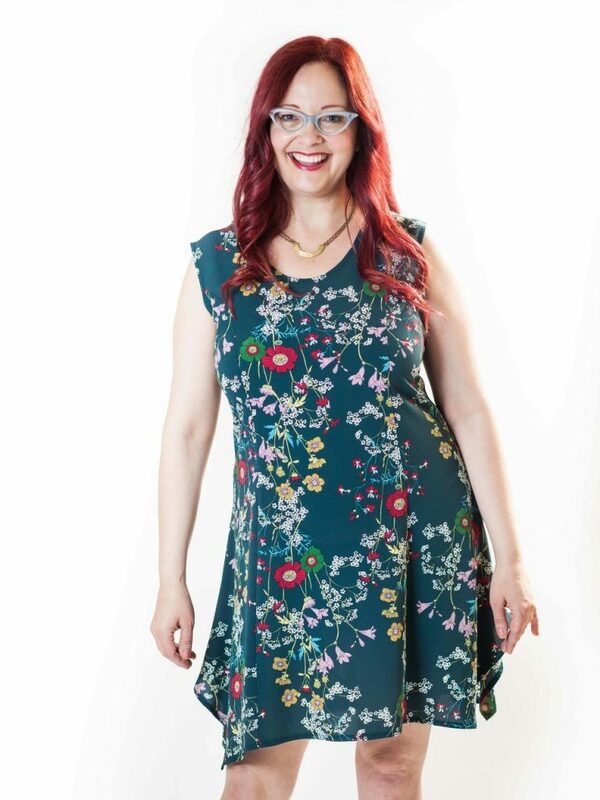 Flash sale on the amazing An-Li Dress! 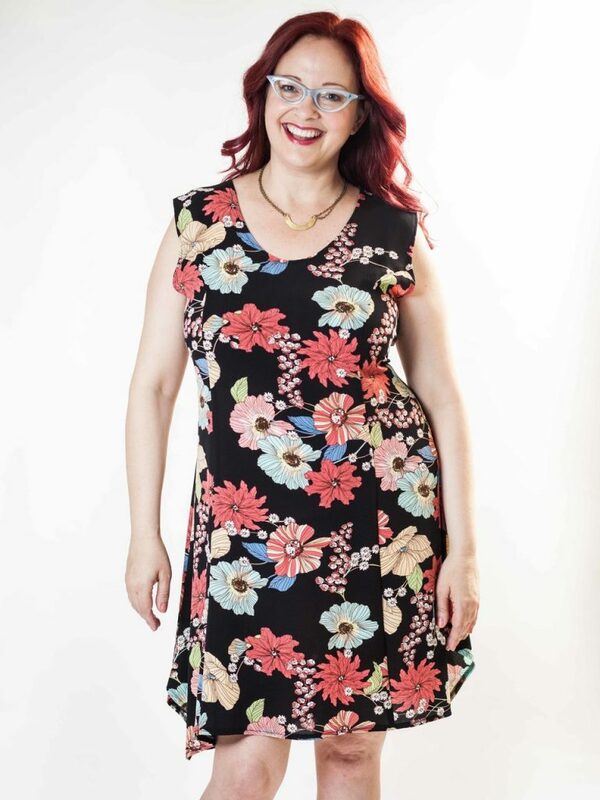 Dubbed the Heatwave Dress, for its lightweight breezy feel and simplicity, this style can easily be worn right into winter with a cardigan or blazer and tights. Check out the video below for fall style inspiration! 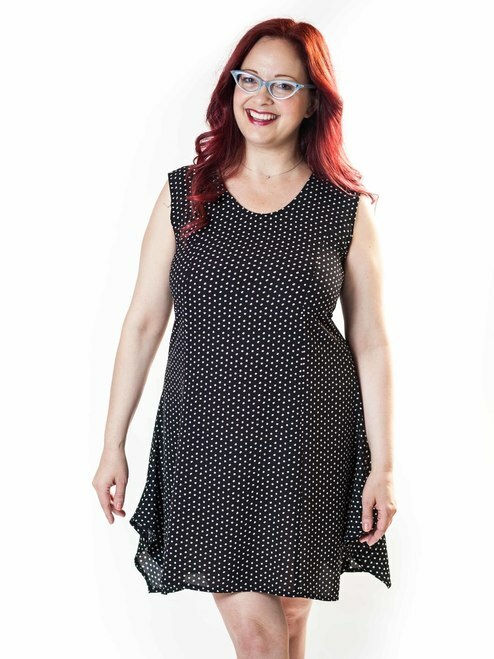 And grab your own An-Li dress today! Until August 7, use the coupon code ANLI20 at checkout when you shop online OR print or show the Fresh Bucks above on your mobile device when you shop in-store! 6 great prints to choose from, including Juicy Floral (Black) above! Alicja (in the videos) wears Extra Small. If you have any questions about sizing or your online order, you can call us at 416 966 0123. Message us on Facebook or email info@freshcollective,com. Don’t forget to use the promocode ANLI20 at checkout to save $20! Only until August 2. Check out all the awesome fall style ideas for this dress in the video above! This is a versatile piece you’ll love for years to come. 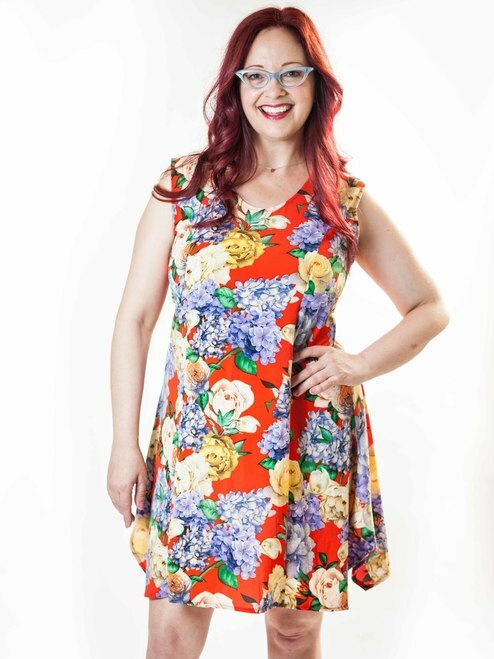 This gorgeous Orange Juicy Floral Print is perfect for summer, but we styled it with a purple jacket over top for fall and tights, and it looks equally fabulous! We’re always dotty for dots at Fresh Collective! 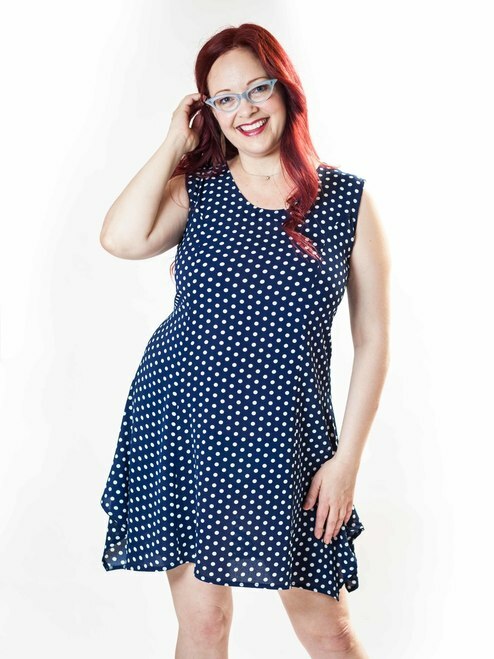 This one is a navy background with white dots and you can buy it online here! Black and White Mini-Dots is a great print and very easy to accessorize by adding colours! Shop online for this one here. 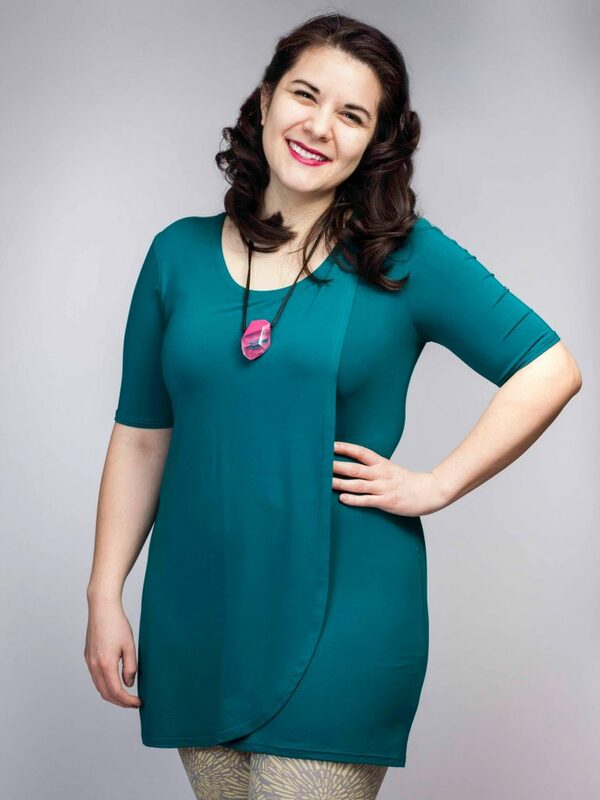 Here are Laura-Jean’s Top 6 Reasons to love this dress! Check them out! 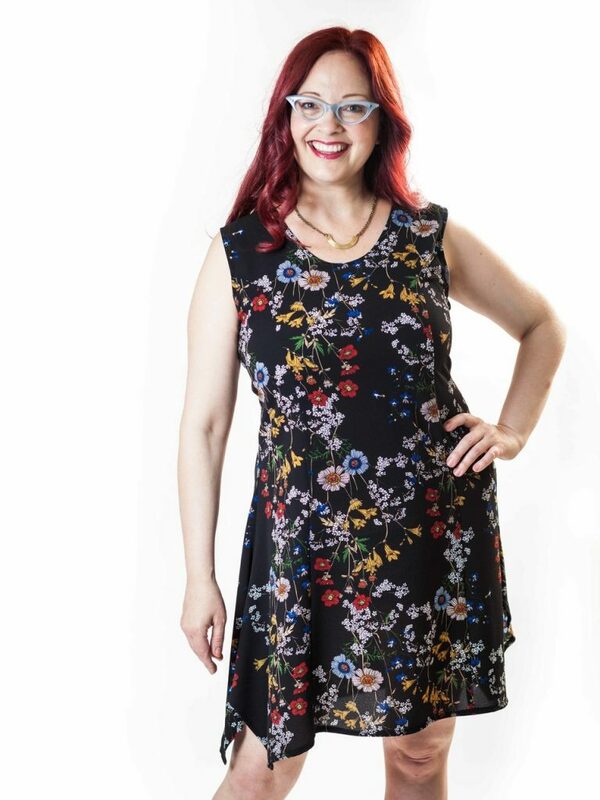 This Delicate Black Floral print is so pretty for summer or fall, and with all the colours in it, you’ll have no problem matching it to tights, sweaters and accessories. Oooooh so gorgeous! This Teal Delicate Floral pattern is so pretty, and again, it’s perfect for summer AND for fall! Buy it online here. Want to complete the look and get ready for fall? 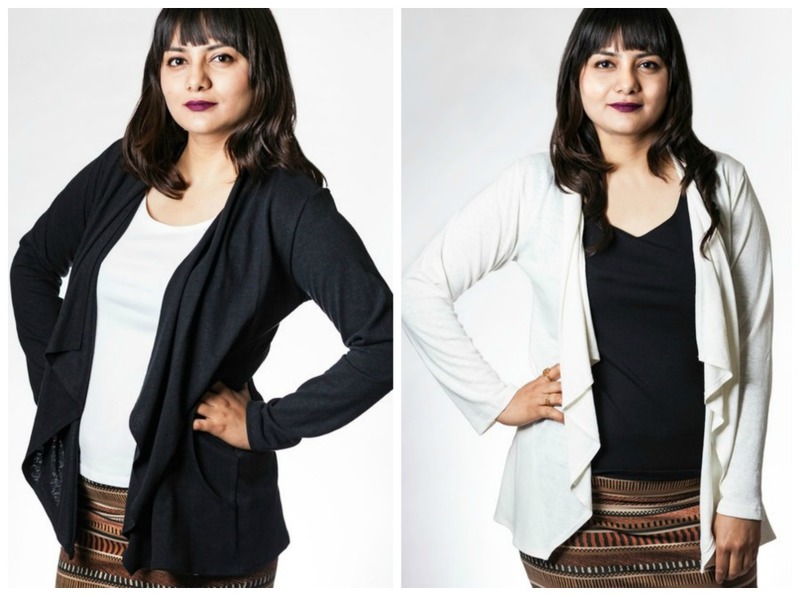 Check out the selection of Carrie Cardigans we have in stock! ….. or in the lightweight and breezy hemp and organic cotton fabric as shown below. 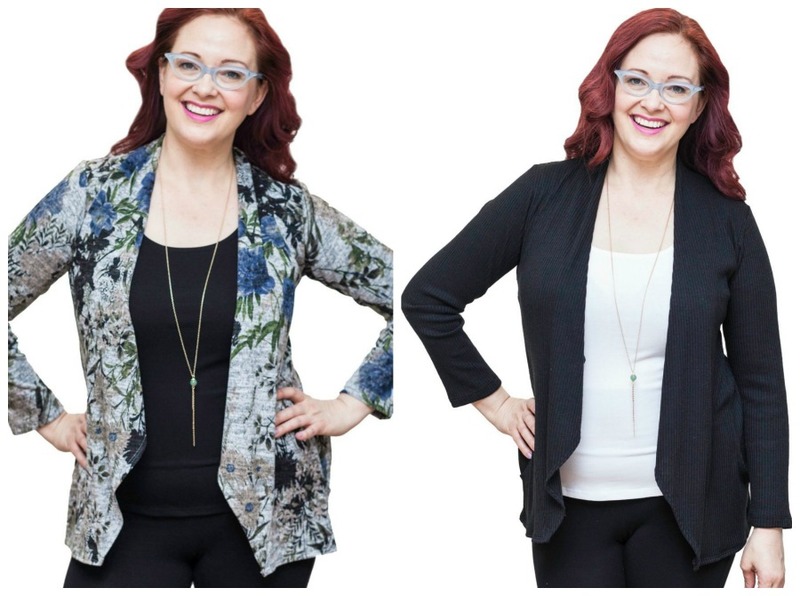 Shop all Carrie Cardigan styles here. You can now shop by size + brand on our webstore! Great news, ladies! 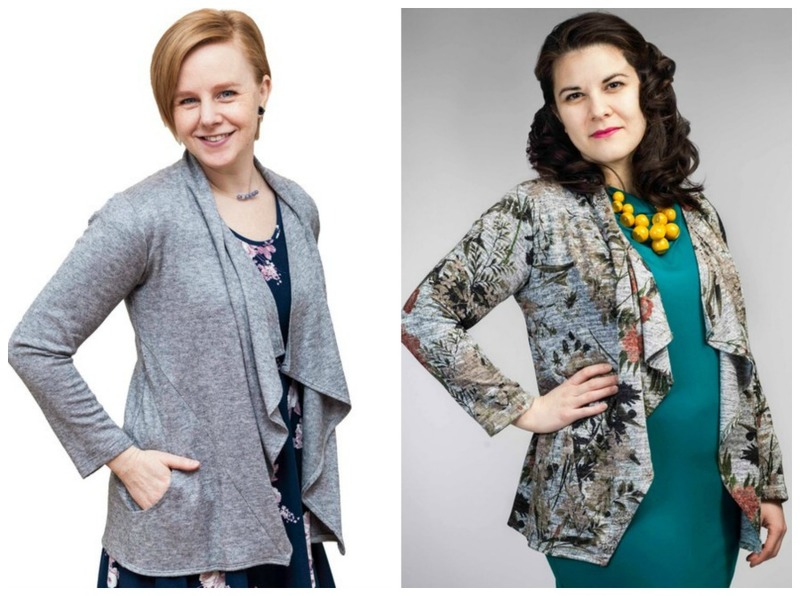 Being that we specialize in limited-edition and local fashions, we know it can sometimes be a challenge to find what you love in the size you’re looking for – especially during online sale events! BRAND on our webstore at the click of a button! On July 29th, join us for Kensington Market’s Pedestrian Sunday! Pedestrian Sunday is BACK IN TOWN for the month of July, and Mandala Design’s Mandy is cleaning out her studio! On July 29th, visit our 274 Augusta Avenue boutique (located in Kensington Market, Toronto) to browse over 150 fabulous pieces from this Toronto fashion label! Limited-edition tops, dresses and skirts from past seasons are UP TO 50% OFF! 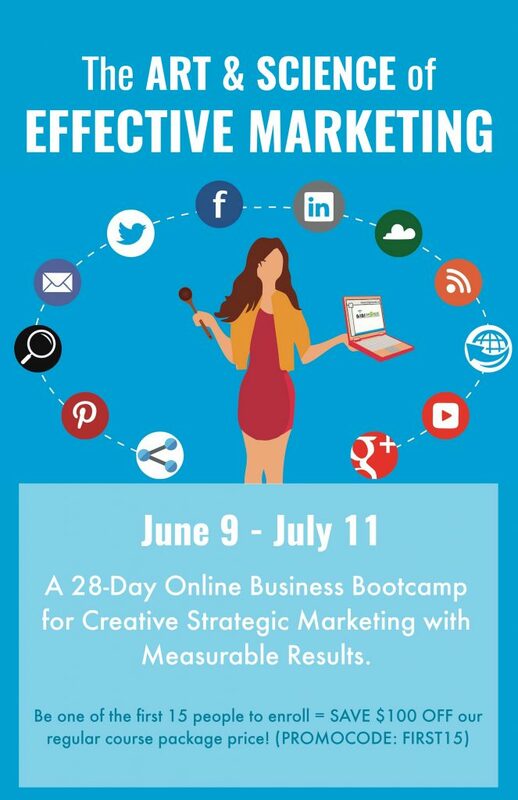 ENROLL TODAY: Our NEW Online Marketing Bootcamp starts June 11! Whether you’re an established entrepreneur or just starting to build the business of your dreams, The Art & Science of Effective Marketing is designed to help you level up your marketing game! Through both group and individual coaching, you’ll work closely with Fresh Collective CEO Laura-Jean and Operations Manager Jane to create tailored and effective marketing strategies that work for YOUR business. Our NEW program begins in just 10 DAYS! The first 15 people to ENROLL SAVE $100 OFF the regular course package price! 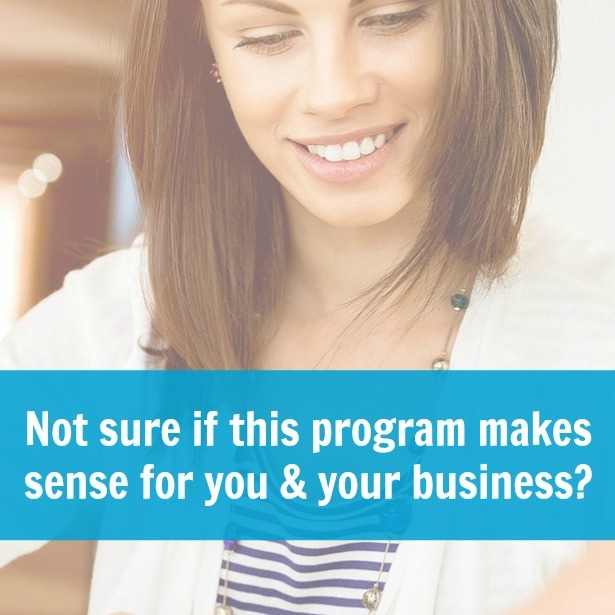 If you’re not sure if your business model makes sense for this program, get in touch! Email laurajean@freshcollective.com with your questions! 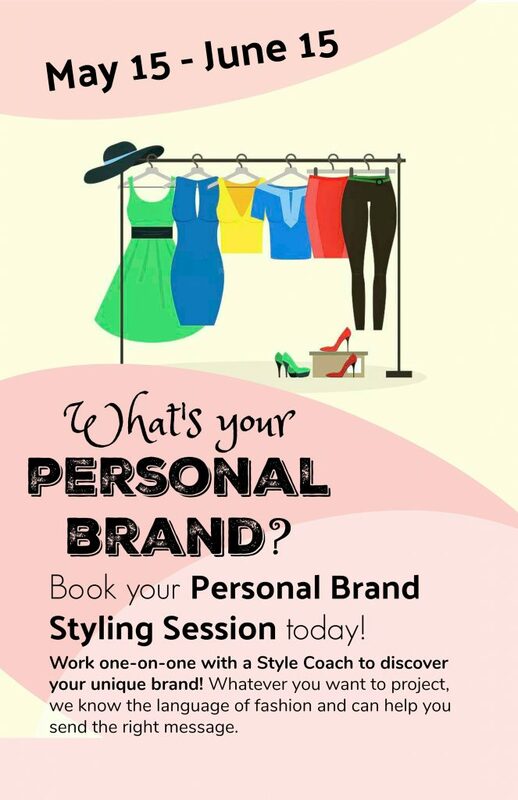 Personal Brand Event and Styling Sessions! Book yours now! Please note that as of May 15, 2018, we will no longer be using the Vicinity Rewards program, and will instead be using our own loyalty program. Customers’ points are being transferred from one system to the other and for you, it should be seamless. The main difference is that you won’t be getting texts anymore. Please stay in touch by signing up for our mailing list at the bottom of the home page here. And don’t forget to follow us on Facebook and Instagram for all the latest news! 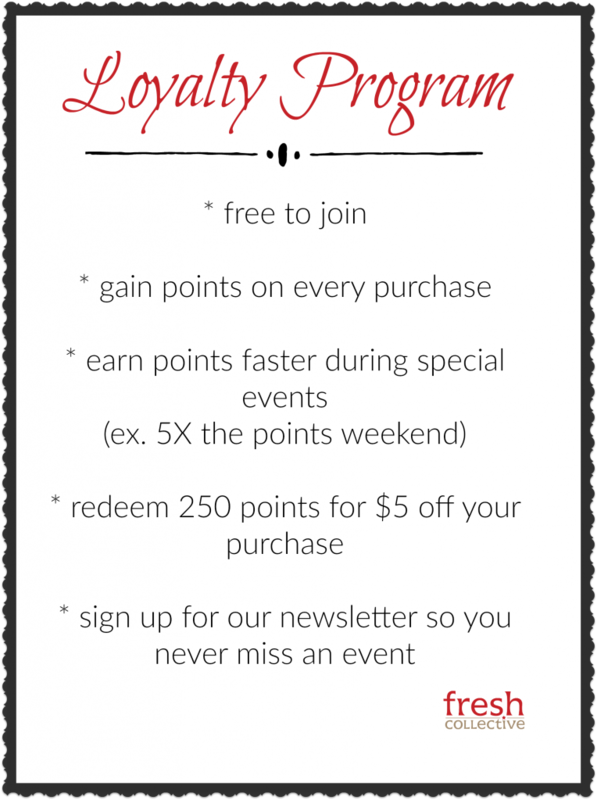 What’s NEW is that we’ll be having 3X, 5X and 10X the points specials, where you can gain points so much faster for bigger discounts! We’ll be announcing those on social media and in our newsletter. If you have any questions about your points, please email info@freshcollective.com for assistance. Being a freelancer, every day is a bit different, but I usually get a yoga session and vocal warm-up/practice in before noon. Then depending on what I’m performing next, I’ll spend an hour or so in the afternoon going over new repertoire. I like to have a basic understanding of the piano accompaniments as well, so that takes time. Most of the rest of my day is spent in the kitchen – I love cooking and baking and I’m always eager to try out a new recipe. If I have spare moments, I’ll spend it reading or creating artwork (colored pencils are my medium of choice at the moment). Evenings are wind-down/cuddle time with my partner unless we have gigs. Sometimes, we’ll have a music jam session, but more often we’ll tackle a puzzle or crosswords with sports or a tv show in the background. We’re currently finishing a 4000-piece puzzle and we’re in the middle of a Star Trek/Roseanne/Vicar of Dibley marathon…so much for a rock ‘n’ roll lifestyle! Having studied both music and geology, your life could have gone in a completely different kind of direction. Would you tell us about the moment you realized singing was what you wanted to focus on, professionally? During my last year of university, I spent a term studying abroad at the conservatory in Amsterdam: it was supposed to be my final farewell to music. But while I was there, I took a lot of classes that I hadn’t explored at home like acting, storytelling, musical improvisation, and so on, and I loved it. My last week there, I had a performance where everything just clicked and I knew that I had to sing. Besides music, what in your life is really important to you? I’ve come to realize the power of simply being a loving and compassionate person, and I value that above any kind of career “success.” If I can’t sleep at night without a clear conscience, then what’s the point? I want to touch people’s lives with my singing – the world seems so confusing these days, if I can bring a bit of truth and beauty with my voice, then my job is done. What mental state do you typically find yourself in during an on-stage performance? Does it require as much preparation and concentration as some of us would imagine? Does it ever feel effortless? It does take an incredible amount of preparation – even for “simple” gigs, I want to be 100% committed to what I’m singing, otherwise it’s not fulfilling! And the more prepared I am, the less I’m affected by stage jitters or that little inner critic. I’ve done a lot of soul searching, meditation, and body awareness training in order to silence that inner critic, but of course, we’re still human, and it creeps back once in a while. These days, a heartfelt prayer is the best preparation I have for connecting with the music and the audience. When everything is flowing, then I’m not even aware that I’m singing. It’s as if I open my mouth, but I’m not in control of what I’m singing. Those moments are truly magical, but they happen organically and it takes a lot of faith to trust that they will. Beautiful and comfortable clothes are the easiest way to ground myself and feel ready to sing. If I don’t get dressed in the morning as if I might perform, then I simply don’t feel ready to face the day and that ultimately affects my singing. 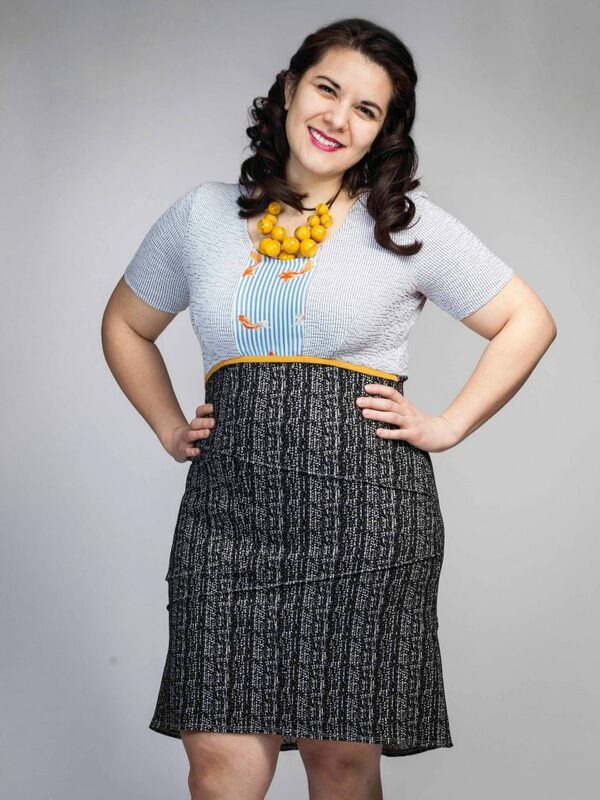 If it’s a dreary day outside, then I need bright colors or fun patterns to pick me up. If I don’t totally love what I’m wearing, that also affects the rest of my day. It’s really hard to sing when all I’m thinking about is how much these shoes pinch my toes or how this bra doesn’t let me breathe properly. First of all, I love that you feature Canadian designs – I can really feel the difference when things are made with integrity and love. Secondly, I love that I can have an item in mind and know that I will be able to find something suitable at Fresh (I rarely “browse shop,” I need a clear mission or I get overwhelmed). Most importantly, I love how committed everyone at Fresh is to finding the perfect fit for customers. I usually go to the Fresh in Kensington Market, and Stef really makes sure that I’m totally in love with an item before I take it home. I can’t tell you how many things I’ve gotten home and never worn them because I was coerced into buying them! That doesn’t happen at Fresh and I appreciate that it’s a rarity. You’re available for all sorts of performance bookings and even private house concerts! Tell us more about your services and how to book! Yes! I’m available for all the traditional kinds of gigs – church/synagogue services, choirs that need an extra singer or soloist, weddings, memorial services, etc. I’m also available to book concerts, either in community spaces or private homes. I have an existing program – The Eternal Feminine – that I want to bring to more venues this year. For this concert, I’m looking for welcoming spaces around the GTA. A tuned piano is always a bonus, but I can bring my own piano if needed. And my other big project this year is booking house concerts. House concerts are a wonderful way to share a unique evening with friends in the comfort of your own living room. You can even attend the concert in your pyjamas if you like! My dream is to have at least 4 house concerts throughout the year. For house concerts, I can either create the program myself from my own repertoire or can tailor it to the host’s tastes or requests. I provide the pianist and can bring my own piano, but if they have their own, then it must be in good condition and tuned before the concert. The host provides the fee, space, and audience. Basically it’s up to the host to decide how to fund the concert. I require a set fee for myself, my pianist, and travel expenses (slightly more if I have to bring my own piano) and it’s up to the host to cover that cost. They can either cover the cost themselves and treat a select audience to a free concert, or they can arrange set ticket prices or take donations – anything is possible! A small reception is always a lovely way to connect with my audience after an intimate concert like this, but that’s entirely up to the host. I also offer private vocal coachings. If you love to sing but are shy about people hearing you, I can help you to find your true voice and let it shine! Contact me for more information. My website is my main channel: www.DaniellaTheresia.com. You can find upcoming events, contact me to book a concert or coaching, and purchase recordings in CD, DVD, or mp3 format from previous concerts. I also have a monthly newsletter you can subscribe to. I’m on Instagram (@daniellatheresia.mezzo), Soundcloud, YouTube, and Facebook (Daniella Theresia, mezzo-soprano). Where can we see you perform live in the upcoming weeks/months? My next big concert this year is The Eternal Feminine with pianist Suzanne Yeo at the Heliconian Hall (Yorkville) on Saturday, May 12th at 7:30pm. The Eternal Feminine is a beautiful program devoted entirely to women – each piece either features a woman character or was written by a woman composer or poet. This year, as the concert falls on Mother’s Day weekend, we’re exploring timeless themes like love, motherhood, and fantasy. Tickets are available through my website and we’re currently running a Mother’s Day Special: bring a guest for $20 ($30 regular)! I’ll also be singing in Kensington Market on on Wednesday, May 30th (St. Stephen-in-the-Fields Anglican Church). This event is affiliated with St. Stephen’s “Safe Space” initiative and they raise funds and awareness for the homeless in Toronto. I had the honor of connecting with this grassroots initiative last year and was truly inspired by the sense of duty felt by the community. I’m touched to be joining them again this year and I hope we’ll reach an even wider audience. 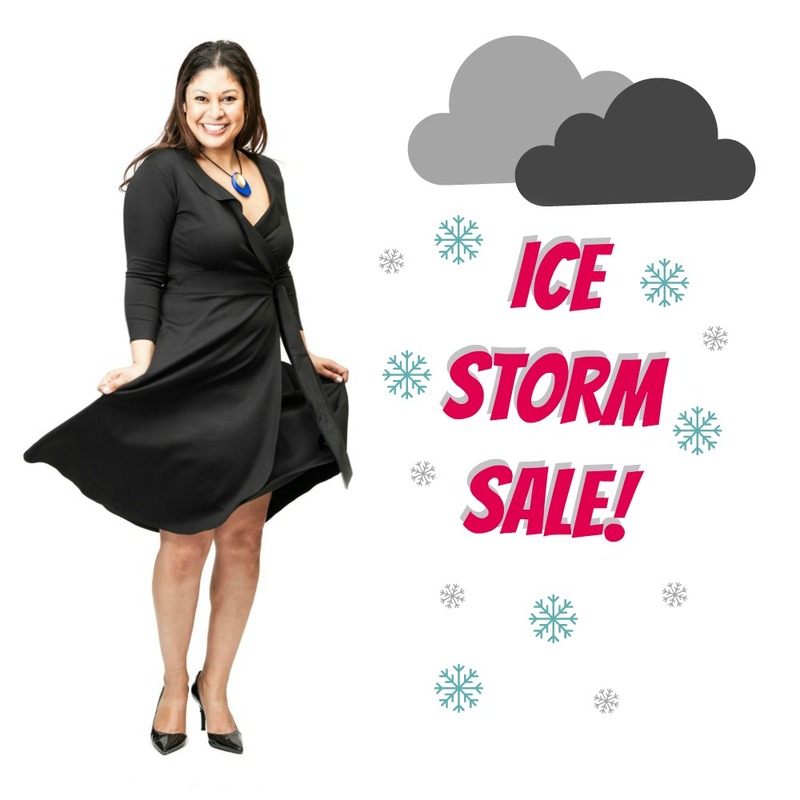 ICE STORM FLASH SALE – APRIL 16TH, ONLY!